A donut by any other name, would taste as sweet? In his 1604 Ouverture de Cuisine, Lancelot de Casteau offers instructions "pour faire paste de bugnolle ou friture." I've never seen the word "bugnolle" before and my dictionary and the Internet were not very helpful in helping me understand what the old term meant. In his The Banquet: Dining in the Great Courts of Late Renaissance Europe, Ken Albala indicates that a "bugnolle" is a fritter. According to www.medievalcookery.com 's "rough translation" of the text, Casteau's recipe is for a "good pastry for doughnuts or fritters." In French, the word doughnut is often translated as "beigne" (especially in Quebec) or "beignet." Can a "bugnolle" truly be considered a doughnut? Casteau's recipe is simple: boil some cream with a bit of butter, add some flour, and gradually beat in eight eggs into the mixture. In another pan, bring clarified butter to a good heat for frying and drop spoonfuls of the smooth batter into the butter. If it looks like a doughnut, fries like a doughnut, and quacks like a doughnut, then it probably is a doughnut... right? If this isn't it, what, then, makes a doughnut, a doughnut? According to anthropologist Paul R. Mullins, the word "doughnut" first made its appearance in a cookbook two centuries after Casteau's publication. Many others believe it was first penned in Washington Irving's A History of New York (1809). "Donut," Homer Simpson's preferred spelling, would only be used as of the 1920s when the Doughnut Machine Corporation dropped the "ugh", hoping it would allow foreign speakers to order the tasty treat with more ease. 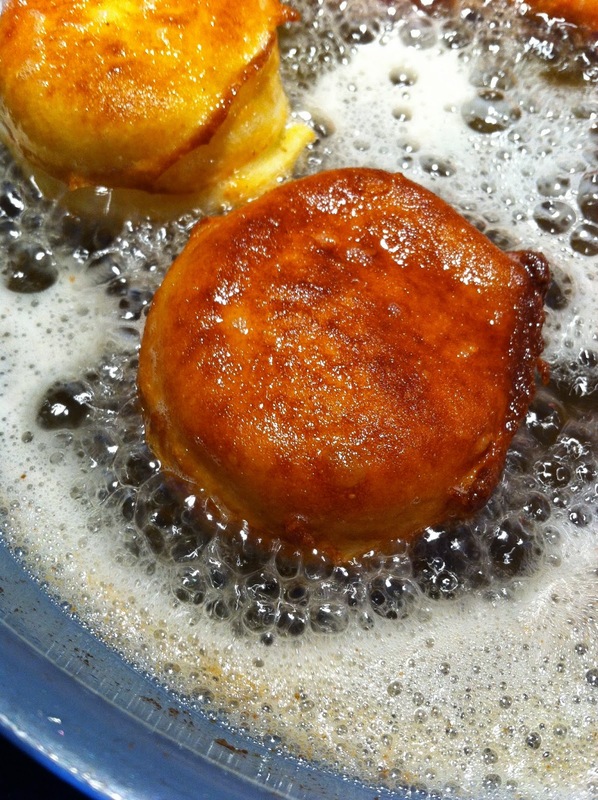 Although frying dough can be traced back to ages before the word made its debut, the ancestor of the doughnut we know and love today first appeared in North America as olykoeks (oily cakes) in the Dutch settlement of New Amsterdam. 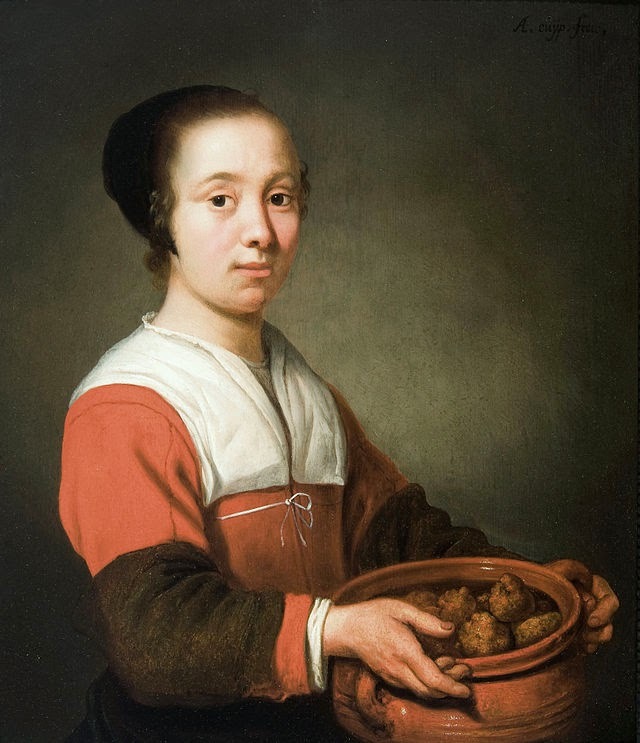 These are also the ancestors of today's traditional Dutch oliebollen. A doughnut is generally defined as fried sweet dough. Many varieties exist and some of us take our doughnuts very seriously, especially in North America. A few authors have already written about how doughnuts are national symbols in Canada and the United States. 2008, particularly, seems to have been a big year for doughnut historiography. In Canada, Steven Penfold wrote The Donut: A Canadian History (Toronto: University of Toronto Press, 2008) exploring Canada' consumer doughnut culture and the rise of the timbits and double-double. In Glazed America: A History of the Doughnut (Gainesville, FL: University of Florida Press, 2008), Paul R. Mullins outlines the tasty snack's history and its role in American society and culture. Yes, a doughnut is fried dough, but fried dough does not make a doughnut. A New Orleans beignet is technically a variety of doughnut, but you wouldn't order a doughnut with your café au lait at the Café du Monde counter. Dear beignets, I miss you. I think we should be together. Same goes North of the border. 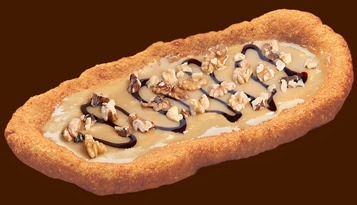 After skating down the Ottawa Rideau Canal, you deserve more than a regular doughnut -- your reward should be a hot Beaver Tail covered in maple butter. Dear BeaverTails, I will never leave you. Don't tell the beignets. Generally, however, doughnuts are sweet -- they can be frosted, glazed, stuffed with jelly, or powdered with sugar. Even "old-fashioned" doughnuts, stripped to the bare necessities, are still made with sweet dough. That's the fundamental difference between a doughnut and this recipe: it has no sugar. It is more an early rendition of unsweetened choux pastry. The beaten eggs allow the dough to rise once it hits the hot butter. Butter, by the way, is much more difficult to work with than oil. It burns quickly and, as you can see on the following picture, its temperature is much more difficult to control. Even under a mountain of confectioner's sugar, these bugnolles can't hide their true selves. One bite is enough to unmask them as impostors. They are not doughnuts as long as they refuse to embrace the sweet life. With the powdered sugar, they reminded me of Tim Hortons' (now sadly abandoned) Honey Crullers. Great post!